I LOVE a good Sunday Self Love Day! Technically it's my Saturday since I work on Saturday. BUT yesterday I did just that! 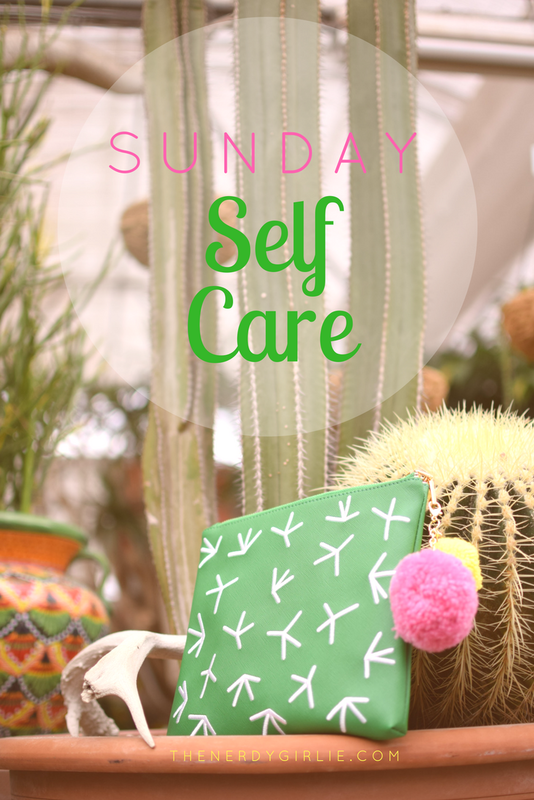 Here are four things that make me so happy and relaxed going into a new week. 1. My new Lively fragrance. As you all know, I am a Brand Ambassador for Lively. I've been obsessed with their bras long before getting that title and now they just launched a new fragrance! FYI, I am super picky on my smells. First off the packaging and branding on all of their products is amazing. I just love a brand that takes care in the details. But most importantly the smell is perfection. I've been wanting a new signature scent and I just love the sophistication in the Lively smell. Makes me ready to concur the day. Get $10 with my code AMB-thenerdygirlie2. 2. Dry Bar. You may have seen my MANY tweets and THIS blog post about how much I LOVE Dry Bar. They gave me a free blow out back in December and I've been hooked ever since. I went with my girls at work for Galentine's Day, we celebrated my besties bachelorette party at Dry Bar in Miami and yesterday I was able to get another FREE one from Netflix and The Santa Clarita Diet. It is such a relaxing experience. I LOVE the head massage and I always just sit back and unplug for the hour. Plus you walk out not only relaxed, but with great hair for the upcoming week! 3. Can't Clutch This. You may have noticed the lack of Can't Clutch This posts here and on my socials. If I'm being honest, I almost skipped this month because both January and February's clutches weren't really up my ally. But when Kelly of Studio DIY posted that this was the MOST requested clutch EVER, I just knew I couldn't skip. 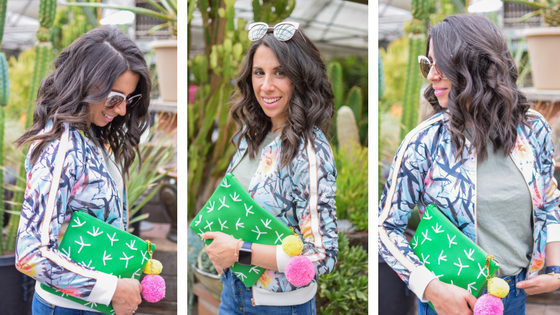 This month is a CACTUS clutch! I added both the keychain flair and the pin flair this month because I was so excited to have the subscription back on track for me. I may or many not continue in the future...I do have 15 clutches at this point! LOL PS check out that Dry Bar hair!!! 4. Plants. On my first birthday in Denver, my bestie gave me a cactus! Since then I've been hooked on plants. Luckily Ocean Eyes is too! He already had a few in his house when I met him. I've bought some here and there to add to our collection. 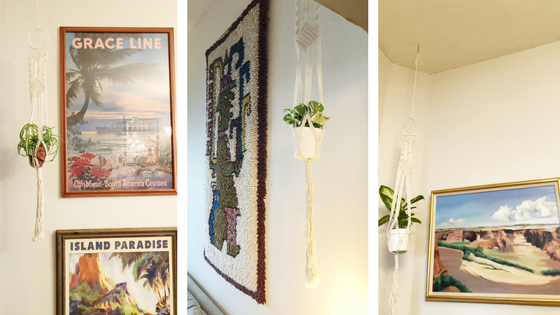 He's gotten me some and for this past birthday he got me three macrame plant hangers. Sunday we went shopping for plants to fill them. I just adore having the color, the freshness and the joy they bring into our home. It is so much fun watering them every Monday, watching them grow and the calmness they bring.